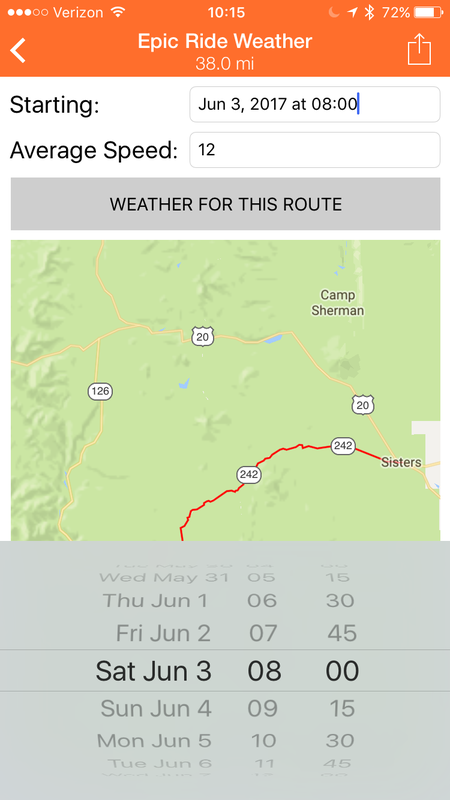 Epic Ride Weather is an app for iPhone and Android that allows riders to generate weather forecasts tailored to their specific route, speed, and riding date and time. 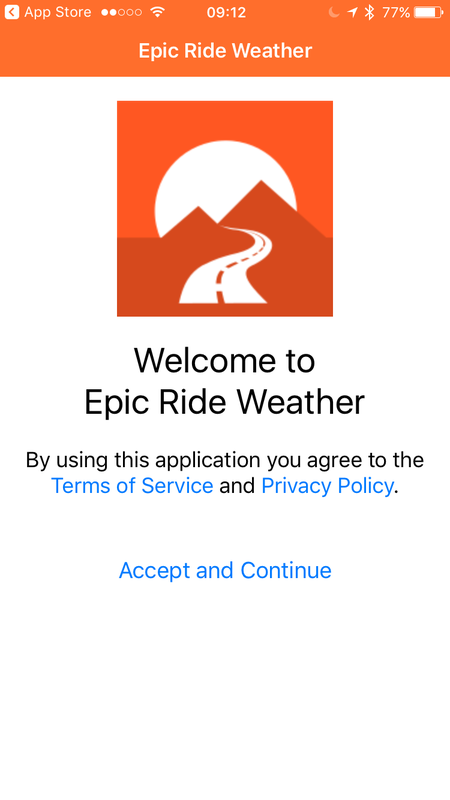 If you’re wondering if you’ll need a rain jacket or whether you should bring an extra bottle on your next ride, Epic Ride Weather can help you decide. You will receive a limited number of forecasts for free, and then can purchase 10,000 forecasts for $3.99 in the app. Every 10 minutes of estimated ride time uses one forecast. So a 60 minute ride would use 6 forecasts. 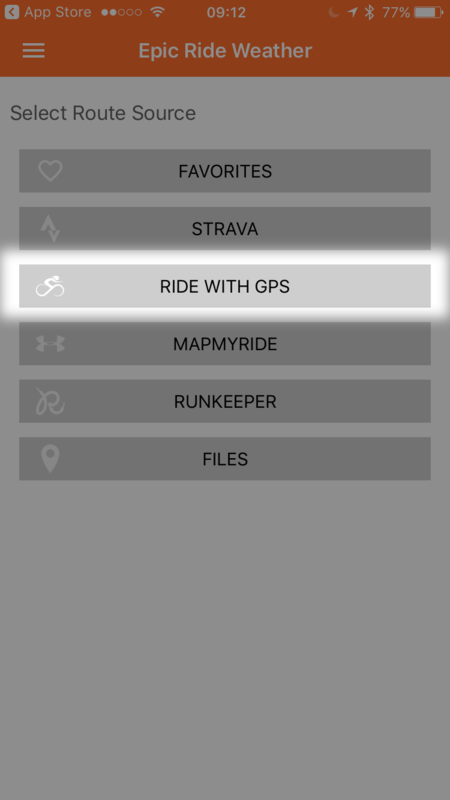 Select Ride With GPS from the menu that appears. 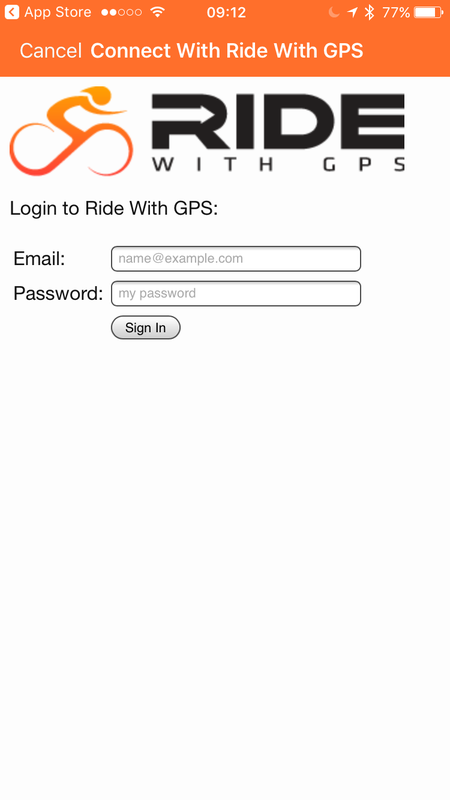 Enter your Ride With GPS username and password. 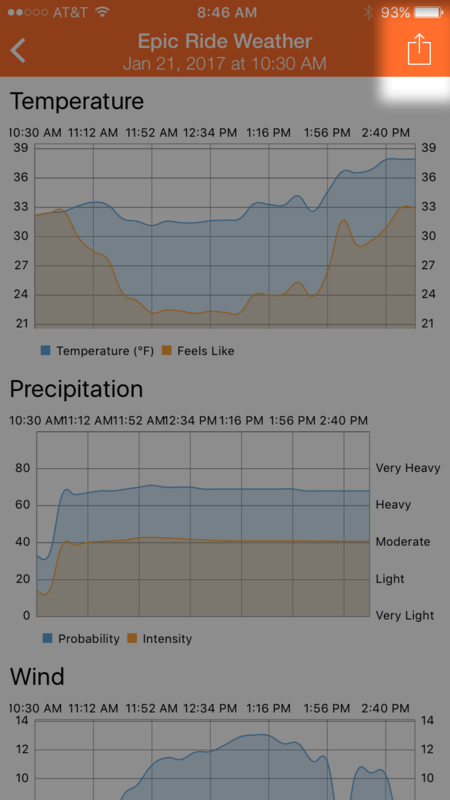 After a brief synchronization, your Ride With GPS feed will appear in the Epic Ride Weather app. 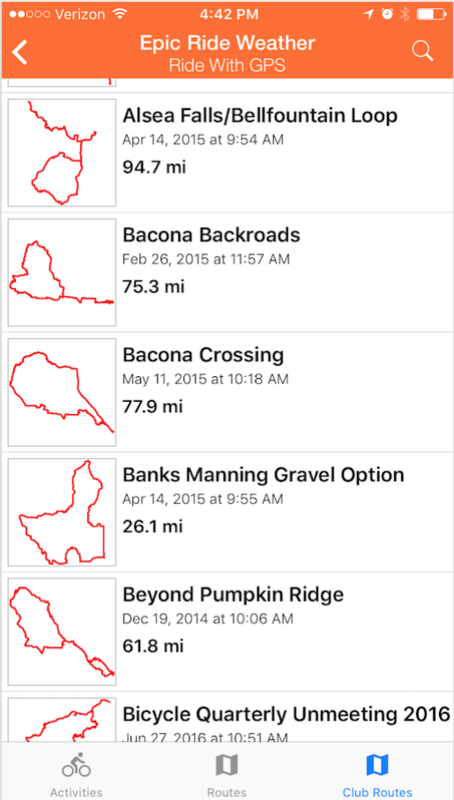 You can get weather forecasts for routes in your personal account, you club routes, or based on rides you have uploaded to Ride with GPS. To get a weather forecast for a planned route, select either the routes or club routes icon at the bottom of the screen. 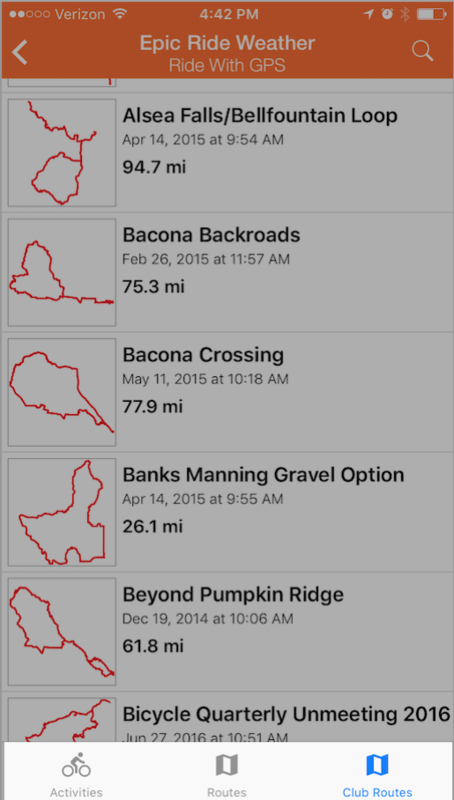 This will bring up a list of either your personal or club routes currently saved in Ride With GPS. Select your desired route from the list. Enter your start date and time in the next screen along with your average speed. Hit the “Weather for this route” button, and a detailed forecast with temperature, precipitation, wind speed and direction will appear. 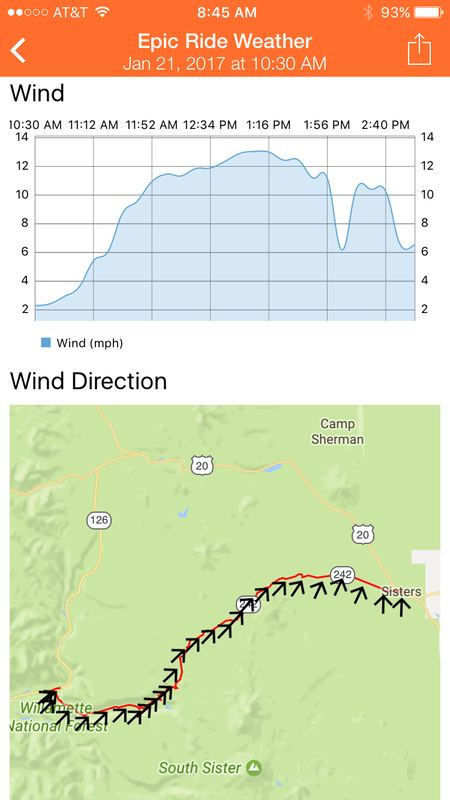 Scroll down to see the wind direction along the route. 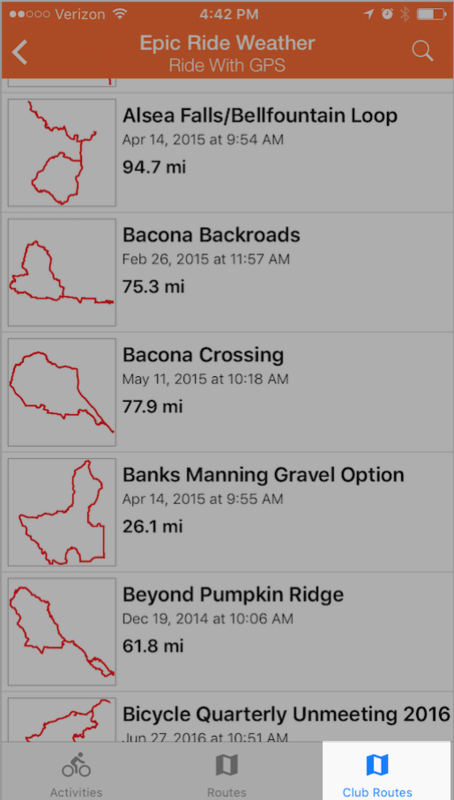 You can now use Epic Ride Weather to generate forecasts for Club routes from clubs of which you are a member. Follow the steps above to get detailed weather forecasts for your Club routes. 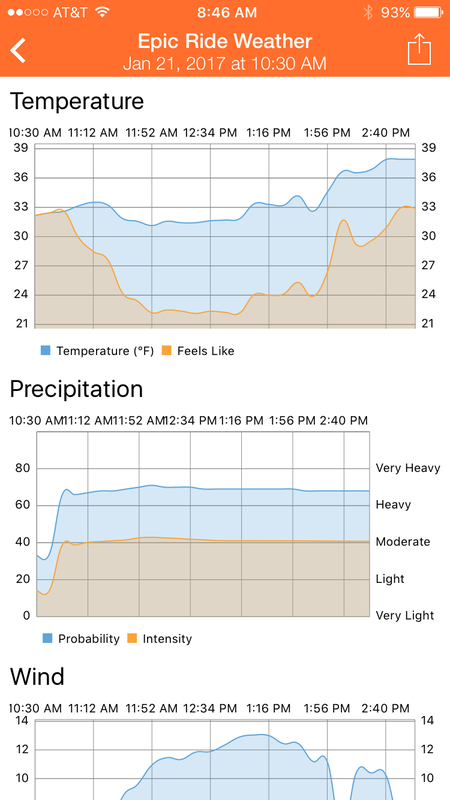 Tap the share icon in the upper ride of the weather report to share it with your friends, social media, or just to save an image to your device.